Designated Reach: March 3, 1992. 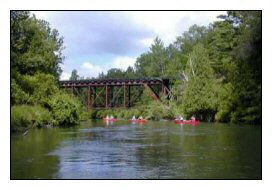 From the Michigan Department of Natural Resources boat ramp below Tippy Dam to the Michigan State Highway 55 Bridge. Classification/Mileage: Recreational -- 26.0 miles; Total -- 26.0 miles.